The European Commission’s list-based attempt to strengthen and harmonise approaches to disrupting money laundering and terrorist financing is arguably creating greater vulnerabilities by ignoring countries that are not on the list and which present a considerably more substantial risk, writes Tom Keatinge. Tom Keatinge is an analyst of terrorist and extremist financing and is director of the Centre for Financial Crime & Security Studies at RUSI. The terrorist attacks carried out in Paris and Brussels over the past 18 months, and the fear of further atrocities on the streets of European cities, have galvanised authorities into redoubling their detection and disruption efforts. Central to these counter-terrorism efforts, as has been the case since the 9/11 attacks, is a focus on limiting the ability of terrorist groups to raise and move funding. 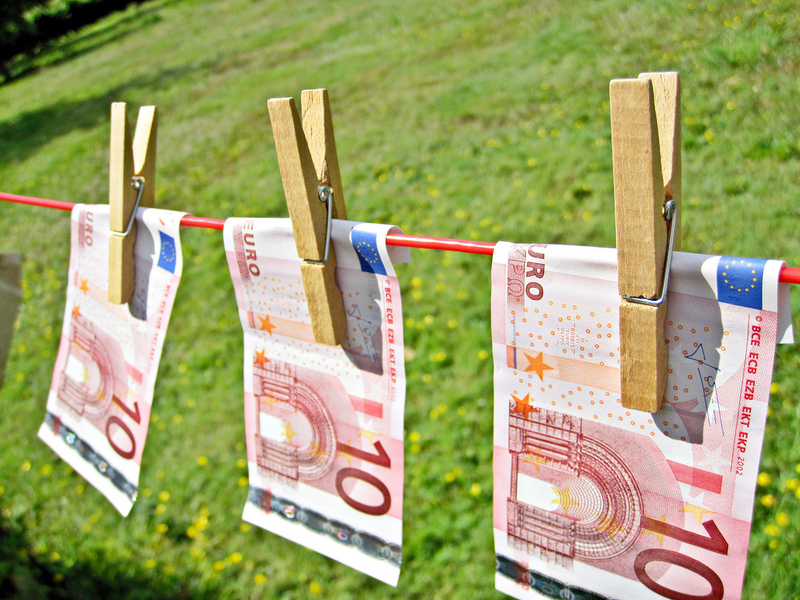 In February this year, the European Commission published its Action Plan to strengthen the fight against terrorist financing, bolstering and accelerating the impending introduction of the EU Fourth Anti-Money Laundering Directive (4MLD). A number of initiatives aimed at closing loopholes and improving information standards are being implemented, including, consistent with the provision of the existing text of the 4MLD, the adoption of “an EU blacklist to identify high-risk third countries with deficiencies in fighting money laundering and terrorist financing”. Except that the Commission is not actually going to identify these countries itself. It is going to import the list of high-risk and non-cooperative jurisdictions from the global AML/CTF standard setter the Financial Action Task Force (FATF) without, seemingly, understanding the process behind the list or, most importantly, the reasons that lead to countries being removed from that list. In simple terms, just because a country is taken off the FATF list does not mean it is not worthy of enhanced due diligence or that its AML/CTF regimes are without deficiencies. It merely means that the country is cooperating with FATF, measured against benchmarks set ten years ago. Ever since it was formed by the G7 in Paris in 1989, the FATF has conducted evaluations of countries around the world to determine the extent to which they are complying with its recommendations for tackling money laundering and terrorist financing; recommendations that enforced technical standards such as the establishment of a financial intelligence unit, the criminalising of terrorist financing, and the monitoring of sectors such as charities, cash couriers, and other financial actors believed to represent threats to the integrity of the financial system. Countries that were found to have deficiencies were publicly noted as such and were coerced by this publicity to address their shortcomings. By 2012, FATF had completed three rounds of evaluations resulting in the listing of a large number of countries that have spent the intervening years working to improve their standards to the satisfaction of FATF and thus be removed from the list based on improved technical compliance. In 2012, realising that technical compliance with its recommendations did not necessarily guarantee effective implementation, FATF expanded its evaluations for its fourth round of assessments to include not only technical consideration but also an assessment of effectiveness. But the high-risk and non-cooperative countries list continues to reflect a failure of technical compliance alone and thus removal from the list is no guarantee of effective implementation. Simply put, countries are being cleared from the high-risk list even if they still represent a money-laundering or terrorist-financing risk due to a lack of effective implementation. Panama provides an illuminating case in point. In February this year, Panama celebrated being removed from FATF’s list as the standard setter noted the significant progress made in improving its AML/CTF regime, including establishing relevant legal and regulatory frameworks. But it also noted that the country would need to continue to work to address the full range of AML/CTF issues identified in the evaluation that it had previously faced. Of course, we know what happened next. In April, the Panama Papers revealed that the risks inherent in dealing with Panama (and indeed a range of other financial centres that are no longer on the FATF list) are far from de minimis. The extent to which FATF’s list can be taken as a guide against which to judge risk seems fundamentally flawed. Financial institutions are urged by FATF and regulators alike to make risk-based assessments and not to ‘de-risk’ indiscriminately and shed clients on the basis of blanket decisions. Yet the publication of high-risk lists (even if they are more appropriate and informative than that of FATF) at best takes away the incentive to conduct such risk analyses and at worst will lead to genuinely high-risk countries not included on the list being overlooked. The Commission, perhaps understandably, does not want to make its own decisions as to which countries are high-risk or not. The UK’s Financial Conduct Authority tried that in July 2014 and having published a list of over 90 high-risk countries, including Israel, South Africa, China, and almost all Gulf Cooperation Countries, was humiliatingly forced to withdraw it after just two months. Yet, the European Commission’s 4MLD plan is the worst of all worlds. It will impose a high-risk categorisation on a list of countries defined as such by a third party that has changed its rules since its list was created. And, in fact, it is not a list of high-risk countries at all but primarily a list of those countries that are being non-cooperative in upgrading their technical compliance with FATF’s recommendations. The list is dwindling as countries comply with these outdated assessment criteria but this does not imply that AML/CTF risks are likewise reducing. Removal from the list is no guarantee of implementation effectiveness as this was not originally assessed to determine whether a country should be on the list or not.